Texas Peanut Producers Board distributes its newsletters electronically! 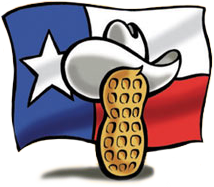 Want to stay up-to-date on the latest Texas peanut industry news? Subscribe to TPPB’s eNews! This electronic newsletter has the latest peanut production information, agricultural industry news, events and related information.